Is it possible to let cables pass through from a closed compartment to the outside? Yes. In the smow online store you can request one or more USM cable outlets. A number of possible positions are available for the outlet. What is the carrying capacity of the uppermost metal panel? The story of the USM lowboard begins in the early 1960s, as the the USM director Ulrich Schärer undertook a restructuring of the company. As part of this plan he commissioned the architect Fritz Haller with the design of new production and administrative facilities - and also asks him to consider furnishings for the new offices. For all an appropriate office furniture system. 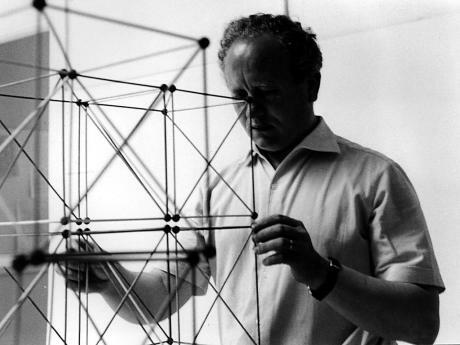 Thus it came that in 1963 Fritz Haller developed the modular USM system exclusively for the new USM headquarters. 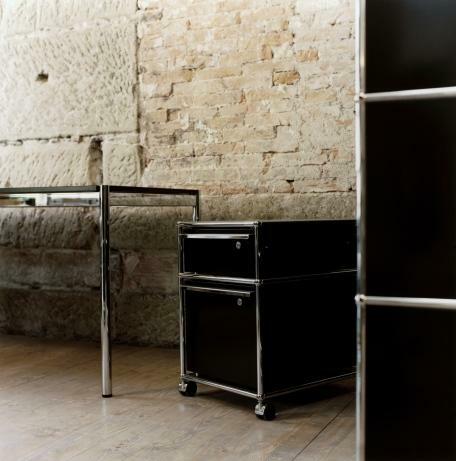 Six years later, the Rothschild Bank ordered USM furniture for its Paris offices, an order which ultimately led to the series production of the storage system and so also began the continuing success story of the furniture system. What makes USM Haller as special today as then is its modular design: from just three basic elements the complete range of USM Haller sideboards, lowboards, filing cabinets et al can be built. 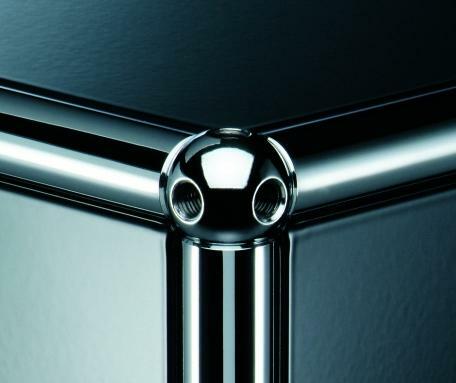 Chrome plated metal tubes are connected via chrome plated brass balls to form a basic structure which is then completed by panels made of either metal or glass. The result is a system which can adapt to different requirements and changing conditions, and also be converted at a later date as and if required. 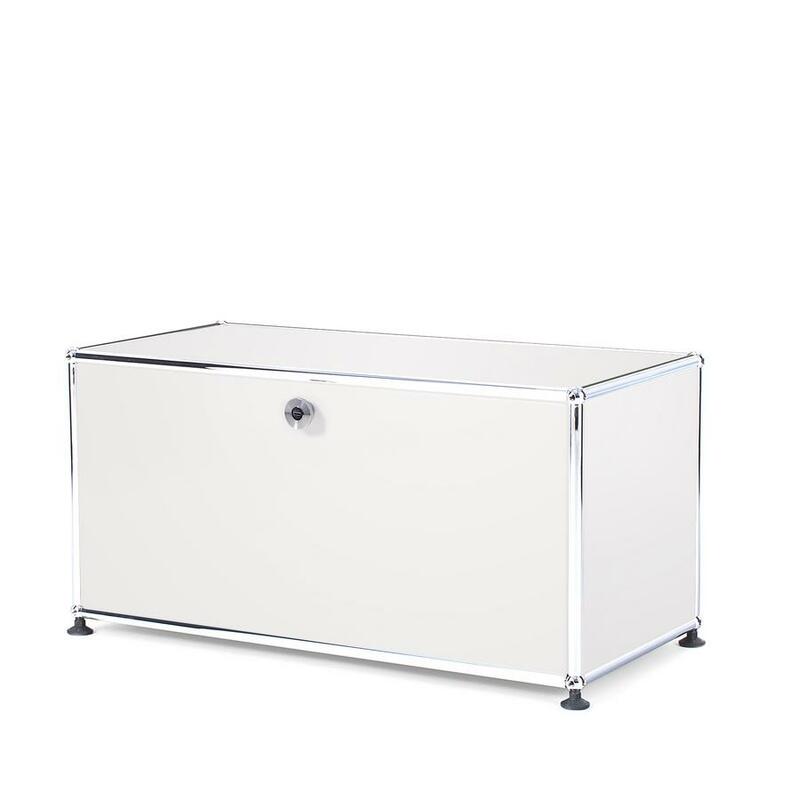 When assembling USM units steel tubes are first connected by means of chrome plated brass ballsbefore metal panels complete the structure. The architect Fritz Haller was born in 1924 in Southern, Switzerland and designed various functionalist buildings, including schools, workshops and office buildings. In 1961 the then USM Junior Chef Paul Schärer commissioned Fritz Haller with the construction of new production and administration buildings for the company's headquarters. 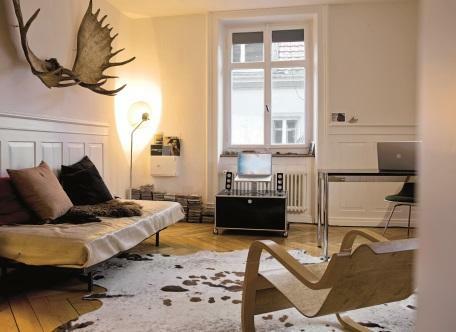 And subsequently, to design complementary office furniture. 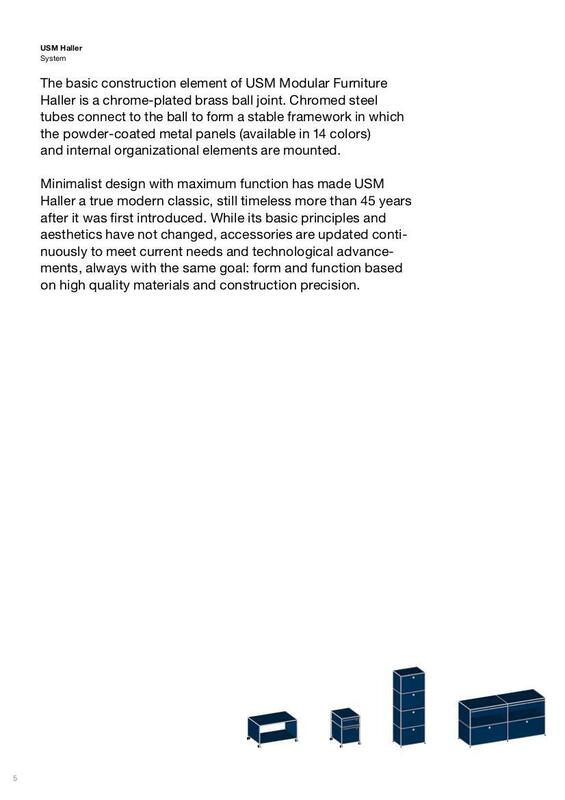 The resulting USM Haller modular System may be Haller's only universally known furniture design, is however easily his best. Through Fritz Haller's work as both an architect and as a furniture designer runs a deep understanding of systematization and its concrete implementation using modular building blocks. The USM shelving system has been awarded numerous prizes and is included in the permanent collection of the Museum of Modern Art in New York. Fritz Haller died in 2012 in his native Switzerland. Through its variety of possible forms, USM Haller meets a variety of possible functions..
USM Haller is a company with a long tradition. Founded in 1885 in Münsingen near Bern as a locksmith and hardware store the company remains in hands of the same family. Crucial for the contemporary company profile was the commissioning of Fritz Haller with the construction of a new office pavilions and then the furnishing of the premises. What emerged from the project was the famous USM furniture system, a system which has been produced in series since 1969. 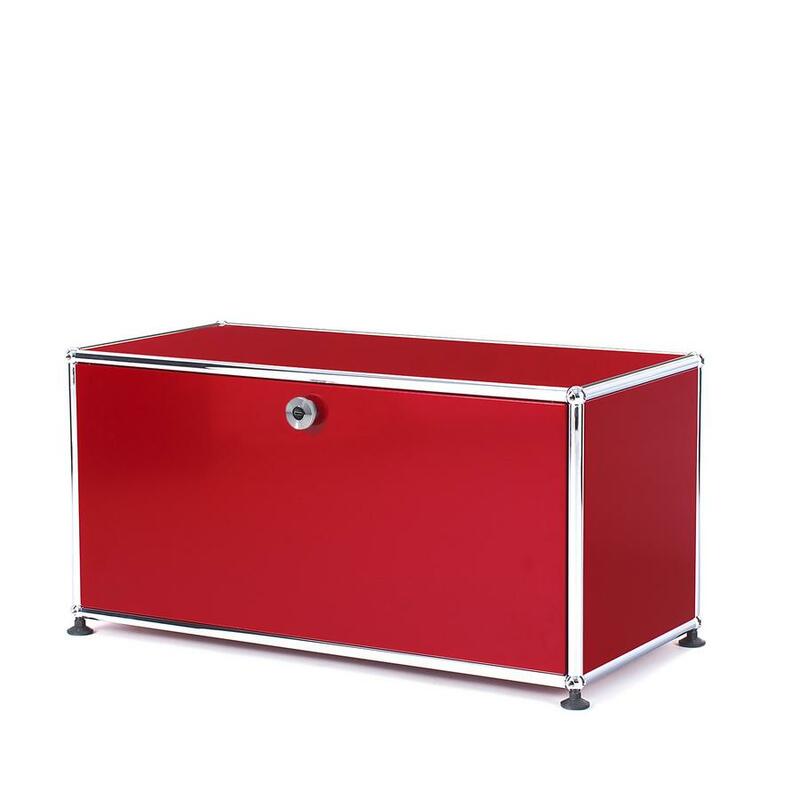 Due to its inherent versatility the furniture system is perfectly suited for different types of spaces, thus beyond office furniture USM has become increasingly popular in terms of furnishings for domestic spaces. The original company focus , the production of window shutters, was abandoned in 1992. 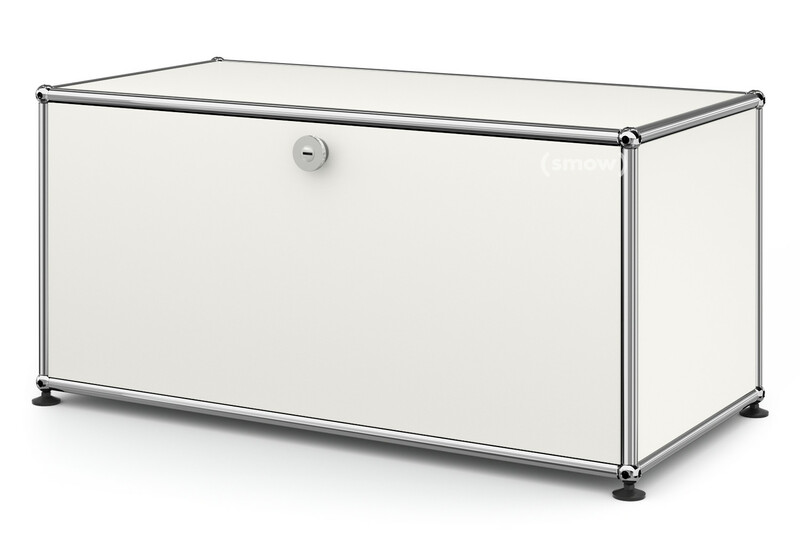 Since then, the Swiss company have focuses on the maintenance and development of the USM modular furniture system. 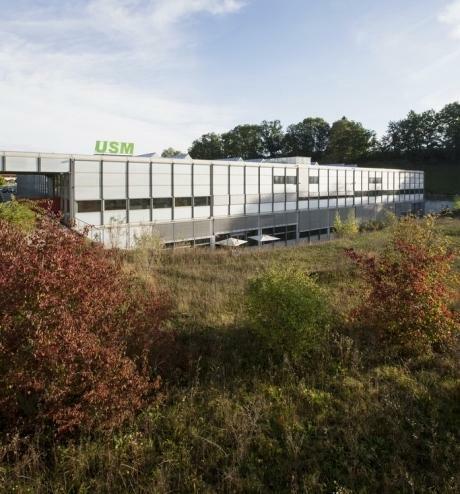 All parts of the USM furniture systems are produced today at the company's base in Münsingen, Switzerland. Just as they always have been. Units intended for the German market are then shipped as components to the USM factory in Bühl, Baden-Württemberg for final assembly. Or when appropriate direct to the customer for final assembly. USM Haller recognises and respects its environmental responsibility in a number of ways. Not only are the production and distribution processes conceived so as to reduce both resource usage and CO2 emissions but USM Haller has been awarded the Greenguard Indoor Air Quality Certificate, thus certifying the low-emission nature of USM products and thus a healthier indoor environment guarantees. Above all however, USM's greatest symbol of its environmental responsibility is granted by the high quality and flexibility of its furniture, the very long product cycle this allows and thus a careful use of resources. USM Haller shelves developed in close connection with Fritz Haller's work as an architect. And as with his buildings are also closely associated with the functionalism movement. As an architectural and design philosophy functionalism first seriously emerged after the First World War, for all in context of the Bauhaus school: however, it was only developed after the Second World War, that it became the epitome of modern living and building we all understand today. With functionalism, as the name implies, functional aspects were now clearly in the foreground and given priority over aesthetics in architecture and design. USM Haller's functionalist character is expressed in that as piece of furniture its form changes according to its function: form follows function in its simplest expression. In addition the strict reduction of USM furniture and its clear and basic geometric can be understood in context of the minimalist art movement of the 1960s, a parallel movement to the development of functionalism.